Callapitter: getting through "the day"
So I've made it through a year. I can't thank all of you enough for the overwhelming love and support on you showed me on Tuesday - you have no idea how much it helped! Honestly, I think the build-up to "the day" was far worse than the actual day itself. The week before I started freaking out, reliving the whole experience. By the time April 6th arrived I was so stressed I sort of disconnected from myself and walked around in a fog all day. I didn't cry much that day, I really couldn't feel anything. Fortunately, because I have the best friends EVER, I was surrounded by people who love me for the majority of the day. I met some of my friends for lunch at the Square Cafe, a little restaurant in Regent Square where my kids and I used to eat often - they loved that place. Then I met some other friends for dinner at Mad Mex - another restaurant my kids enjoyed. There I ate one of their favorites (and mine) for dinner - a hot fudge brownie sundae. I would have never let them eat that as their dinner, only after they ate their dinners. 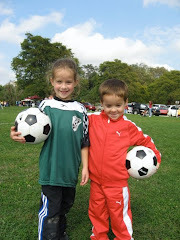 Kate always had soft chicken tacos with black beans and Peter always had Dino Nuggets. Now I'm thinkin the sundae is probably more nutritious than the Dino Nuggets...shoulda let Peter skip right to dessert. I wanted to do something "in their memory" or something to honor them. I know people often take flowers to a grave site, but my kids weren't buried so I don't have a grave site to go to. Their ashes are at my house with me. However, three trees were planted in their memory last year - 2 at Kate's school and one at Peter's school. I considered taking flowers there. A few days earlier I met up with Kate's Kindergarten teacher, who works at the school Peter attended last year, and I knew she was taking care of the tree there. 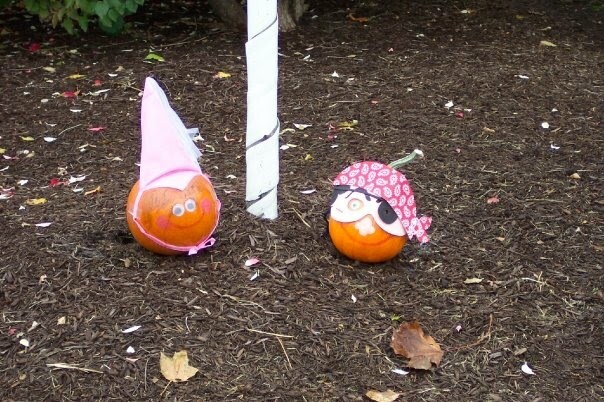 She put pumpkins by the tree for Halloween (one decorated like a princess and one like Captain Jack Sparrow), hung eggs on the tree for Easter and brought flowers to the tree on "the day". So I figured I would do something with the trees at Kate's school. My first thought was flowers, but then I reconsidered. Flowers are nice, but my kids would prefer toys. So I brought a Sleeping Beauty Barbie and a Spiderman action figure and, with the help of some friends, secured them in the trees. I'm hoping my kids liked that. The best part, for me, was when the Vice-Principal of the school called me later that day to tell me she overheard some kids leaving school saying, "Cool! 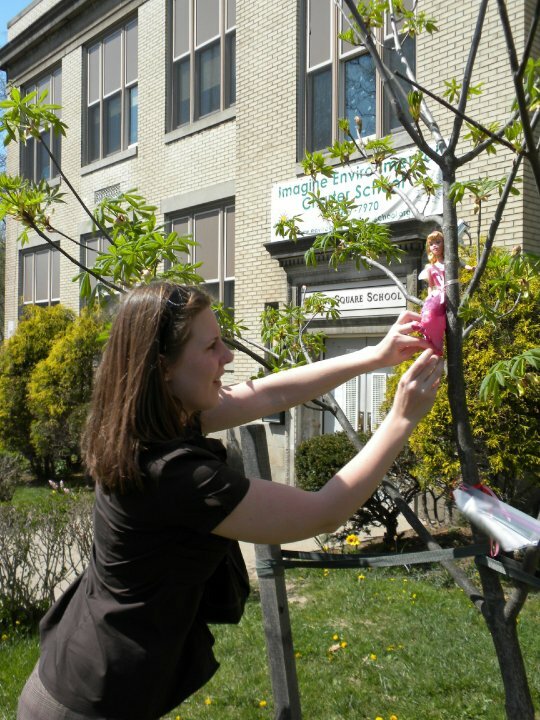 Check it out - Kate and Peter put toys in their trees!" I'm so happy to know the kids remember them. I picked Liam up for a dr's appt on Thursday and he asked how the toys got into the tree. 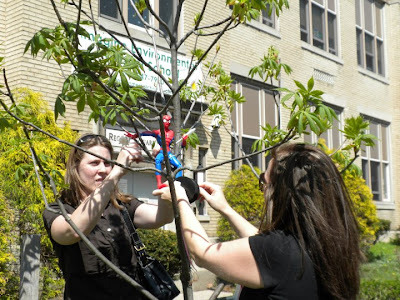 I told them that Kate and Peter's Mama put them in the tree to help her and everyone else remember them. His response was "That's such a great idea. She deserves a big hug for such a great idea." i had such a hard day with my kiddos. i started following you for several reason, but one was to help me put the hard days into perspective. thank you again for that. I love that tree story. So many people that you don't even know are thinking of you and your babies every day. I am one of them, please take comfort in the fact that their lives meant so much more than we can currently comprehend. Take care. Awesome!! I take Delaney things for her bday. We have always said we wanted to plant a tree somewhere but we aren't sure where. We don't have much of a yard. We always had said her pre-school. I think you did an awesome job. And yes I agree the build up to the birthdays, and angel dates are harder than the actual day. I get very emotional and moody and withdrawn and just mean sometimes leading up to those days. That goodness for friends who understand and love us unconditionally. Take comfort in the fact that angel dates only come once a year. I couldn't deal with it more than that. Love the addition to the trees!!!! Tree song recording is coming!! Amy you never ciece to amaze me.You made it through another tough day.I am certain your angels are very proud of their mom.And I am glad to hear you ate that sundae too!That always helps.Surrounding yourself with people who love you was the best idea yet and they will be the ones to get you through this journey.I am glad you started school because from previous posts it seems like your an amazing cook and mother.Keep up the great work.You and your children will always be in my thoughts and prayers.I hope the best comes your way because you certaintly deserve it all. What a special way to CELEBRATE your children! What an amazing way to remember your babies... It is neat how just little things like this can help heal a heart. I have a memorial flower pot in my yard with a little angel statue that holds the cremains of my unborn child that I lost last year, and it always makes me smile to see the flowers fluttering in the breeze and the sweet little angel resting there... So glad that you have a place to go where you can pay respects to your children.